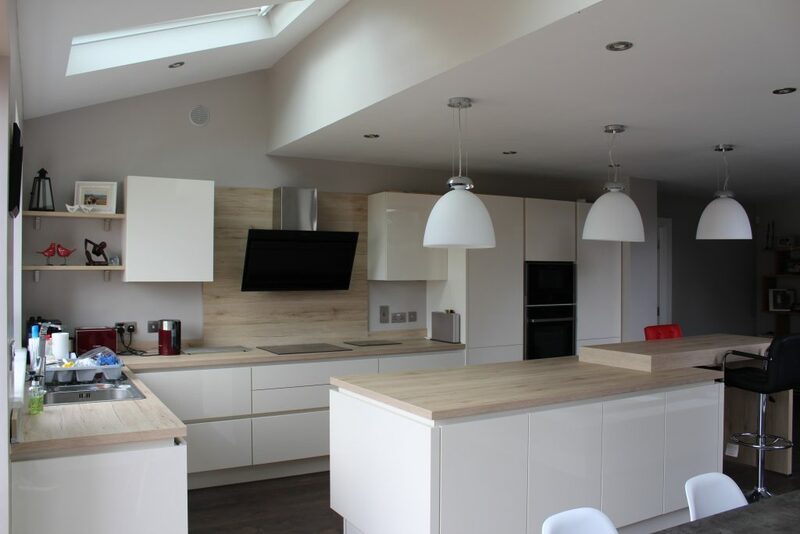 The existing layout of the house was disjointed, and the garden north-facing, but there was plenty of scope for clever design to solve these issues and turn the house into the perfect family home. 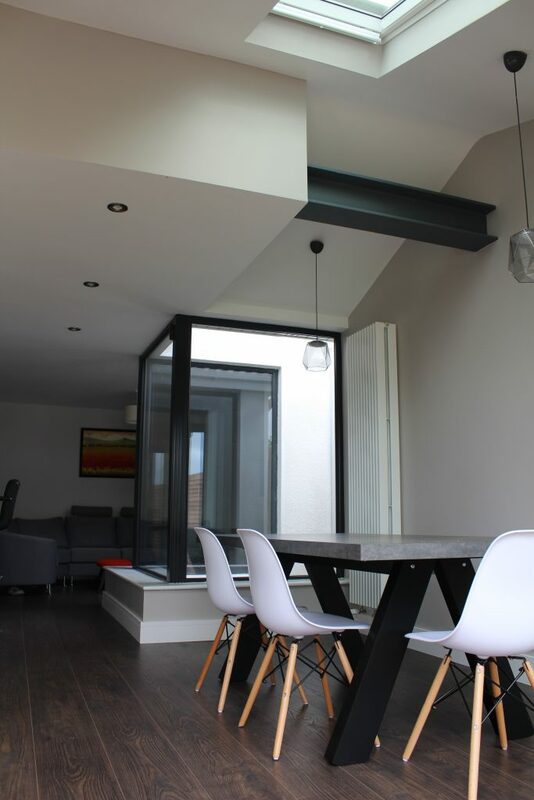 We designed a two-storey rear extension, converted the existing garage and lean-to, and completely redesigned the internal layout of the existing house including moving the stairs. 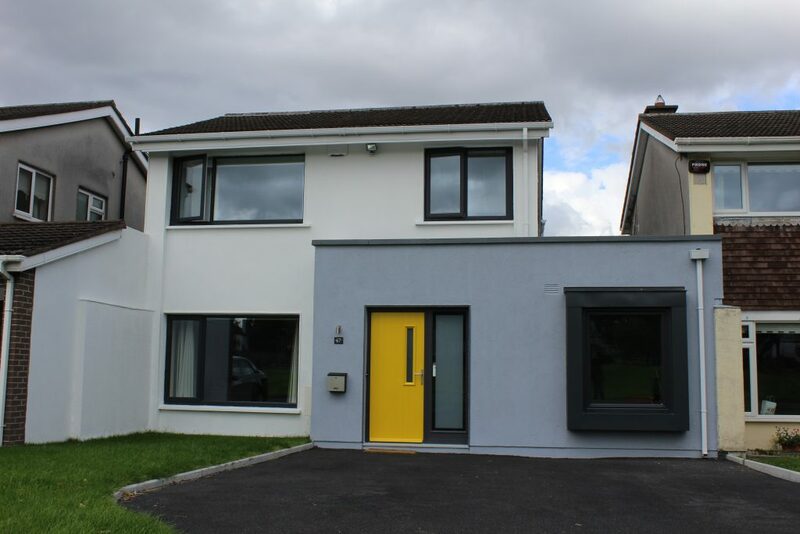 The result is a large and well-thought out family home with four bedrooms upstairs, a large open-plan living space to the rear, a large utility and a playroom with window seat overlooking the park to the south. 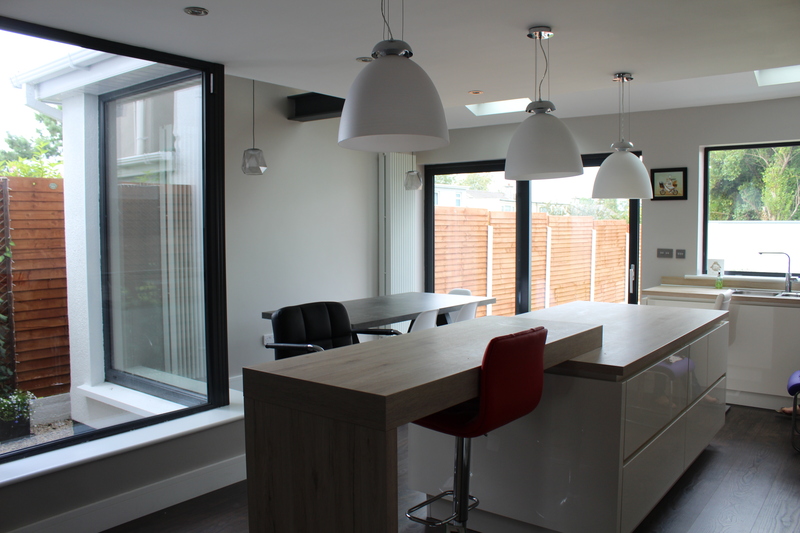 We also introduced a light-well into the living space to bring light and westerly sun deep into the floor plan.